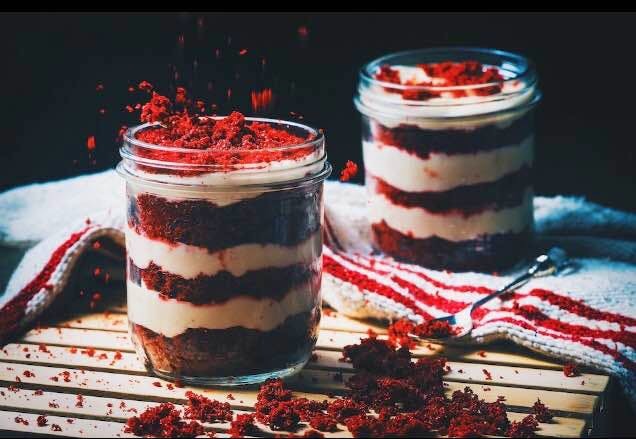 Tinge, a home bakery in Ghatkopar, run by Palak Ajmera, delivers tempting cakes, cupcakes, and dessert cakes. It offers an enormous variety of flavours ranging from salted caramel and coffee to red velvet and Oreo. The popular chocolate is transformed into versions of Belgian, mint, Ferrero Rocher, and vanilla. For those who prefer fruity ones - cranberry, strawberry, and pineapple are on the menu as well. You can even get some pretty cool theme-based cakes and cupcakes with interesting toppings here. Not only the cake, you can even get the taste customised per your needs. Palak can work well with adding less sugar, less butter, and/or no eggs too. Apart from the perfectly baked cakes, what stands out are Palak's efforts to make sure that the customers have a good experience, she's always available to discuss your choice and ensures that these delicious treats are delivered in time. Oh, and she's also open to taking last minute orders. A cupcake is priced for as low as INR 60 and a cake costs INR 650 per kg. So call them up for a surprise birthday cake delivery or just order some for yourself to satiate your sweet tooth.